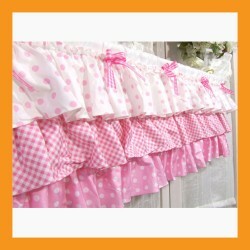 Purchase Can Can style lovely valance curtain. 1. One valance ONLY. Curtain rod, accessories(tieback, flower balls, clips, beads, furniture, etc) are NOT included. 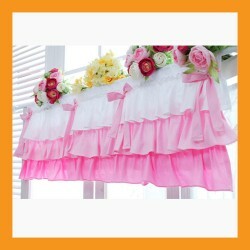 Can Can style layered valance - beautiful and romantic. Affluent ruffles and cute polka dot accent. Lovely colors and adorable ribbons decorated - ribbon pins can be attached / detached. 3. Size - MUST measure your window carefully. For best look, valance needs to be 1.5~2 times wider then window itself. 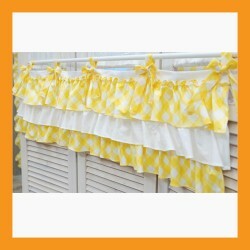 You many need more than one valance for your window.